Hey, a HUGE thank you to Aozame, AK fan, Luminoseti and TheFumaken for entering the YOT awards competition. I think some people don't scroll down far enough so miss what is going on down there in the lower forum sections. Really though, we don't have much time left for people to enter. It needn't be something new. Loads of you have submitted your creations here so just take a few moments to link them over to the Sign up Thread and lets make YOT's 10th birthday the special event it should be (and maybe win some cool stuff ^^)!! I just competed in a tournament and got 8th place =D. HAPPY BIRTHDAY TOOO YOU! HAPPY BITHDAY TOOO YOU!!! HAPPY BIRTHDAY DEAR MKAI, happy birthday tooo you! Yey!! Ten whole years since manjikai first went live!! Well, ten years and one day because I am late to get online. My silly phone won't let me sign in here. Dunno why because it used to. Anyway... happy birthday YOT. I think the results of the competition will be released very soon. oooh exciting stuff!! Hugs and kisses to all my fellow manji!! # Jembru : Yey!! Ten whole years since manjikai first went live!! Well, ten years and one day because I am late to get online. My silly phone won't let me sign in here. Dunno why because it used to. Anyway... happy birthday YOT. I think the results of the competition will be released very soon. oooh exciting stuff!! Don't you visit a home page.... ... ...? Rallying my YOTian family! I've been away a while. How are you all? I been guuuud =3 I've been away too, summer job, but now that it's not summer my wallet's flat :3 howz u? 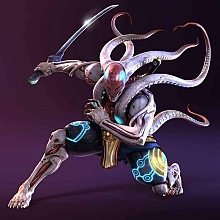 # Tenshimitsu : Don't you visit a home page.... ... ...? Phone only shows the top of the page.. all that menu stuff. It takes so long to load that I have the forum saved to my favourites rather than the home page. Anyway, my goodness it's gone quiet. I've been writing some blog entries. The blogs will be totally unrelated to Tekken most of the time, but it is still a fun way to keep in touch and I kinda promised Angelboy I'd start a blog last Feb. Lets say I'm a little bit behind schedule! I'm waiting for the new site, although I actually don't know why I don't just post them now. It's not as though they'd suddenly vanish with the update ^^ My hope is that other YOTians might be tempted to blog, maybe even about Tekken (imagine it!!! ), and we can all get a little more active around here. At the moment, there are no alerts when a new blog is posted so they tend to be missed, but I think new site will have a better blog feature (is that right Tenshi?). Well, since I have now found out how to use the wifi at work, I should be here a bit more from now on. Although I'm a bit annoyed that I paid so much for the extra internet on my htc phone. I can upgrade but not downgrade my contract until after the first 12 months and I totally didn't need all that. Bummer. New version of the site will be out in max 1 month, with a new site theme and new functionalities.